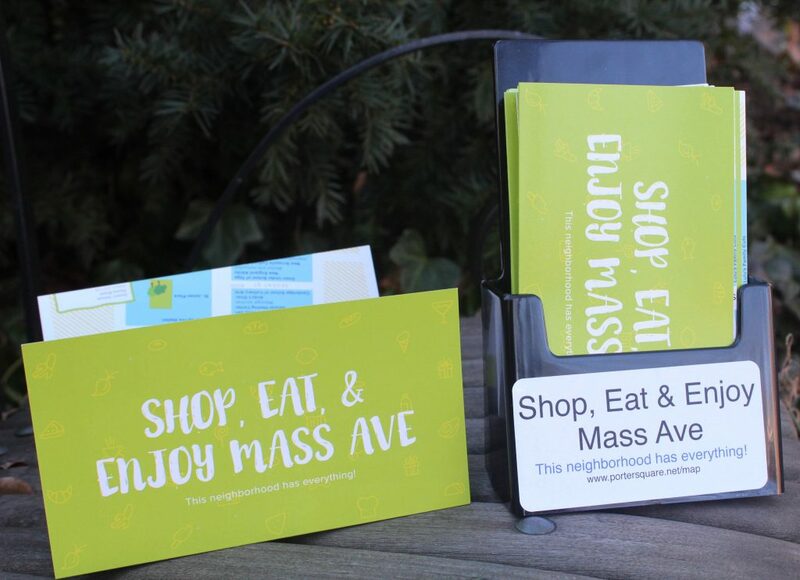 A beautiful new edition of the PSNA “Shop, Eat & Enjoy Mass Ave” map and business directory is now available. The map showcases businesses (retail and restaurants), as well as our institutions, art galleries, historical buildings, on or near Mass Ave from the Cambridge Common to the Arlington line. Copies of the maps can be found at 20 Sacramento Street, as well as at most businesses along the Avenue. “Shop, Eat & Enjoy Mass Ave” is produced by the Porter Square Neighbors Association, with the generous support of Lesley University and Agassiz Baldwin Community. What a great combo! You can view the new map online at: www.portersquare.net/map where every effort will be made to keep it current. If you spot a new place or a newly empty place PSNA hasn’t noticed, please let us know. This post was prepared by Ruth Ryals, PSNA President.